Does anyone make a back up camera for a 2013 Fit Base? I bought this one and it fit perfectly. I wired it to an aftermarkey JVC KW-M730BT. I tapped into the reverse lights. 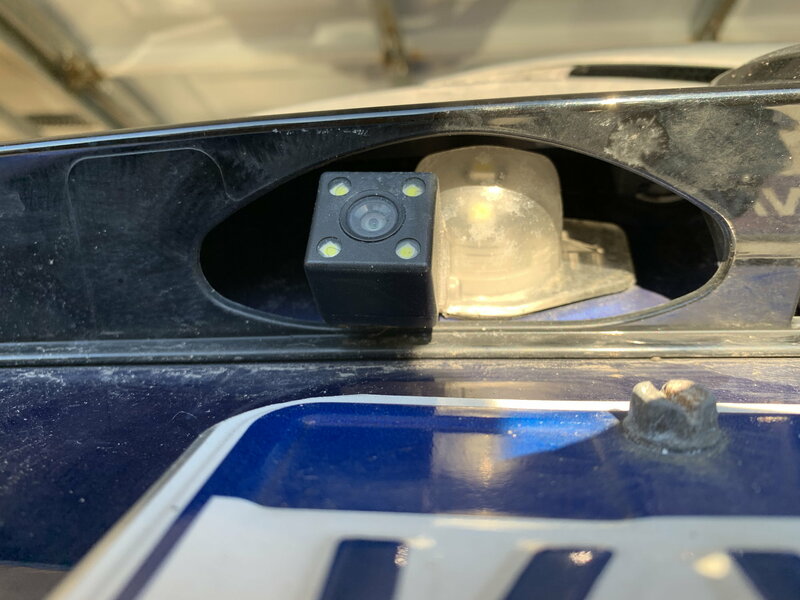 You have to take off the rear hatch cover to install and then route the wires through the rubber wire connector from the hatch into the car which was a challenge. I installed it late 2017 and it's been working fine since. Im pretty sure I saw a youtube video of something doing this same install.. the fit is so small I have no problem parking it. However, after upgrading to a double din and now having the option, I am tempted..
Was it worth it to you? Im more curious in the quality of the camera.. is it good? What head unit are you going to hook your camera up to? There are a lot of cheap options on AliExpress, possibly eBay/Amazon too. I bought this camera off of AliExpress, I haven't installed it yet, though. I hope to do so this weekend. 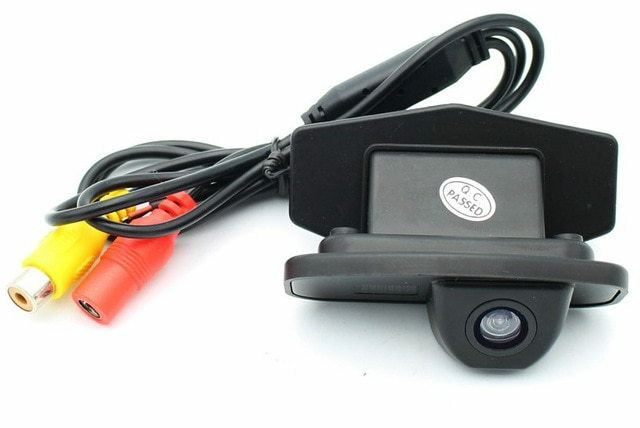 I currently have the Auto-Vox X1 Pro rearview mirror installed on my car and am using that camera. Sorry no pics of this, I may do a post about this in the future though. 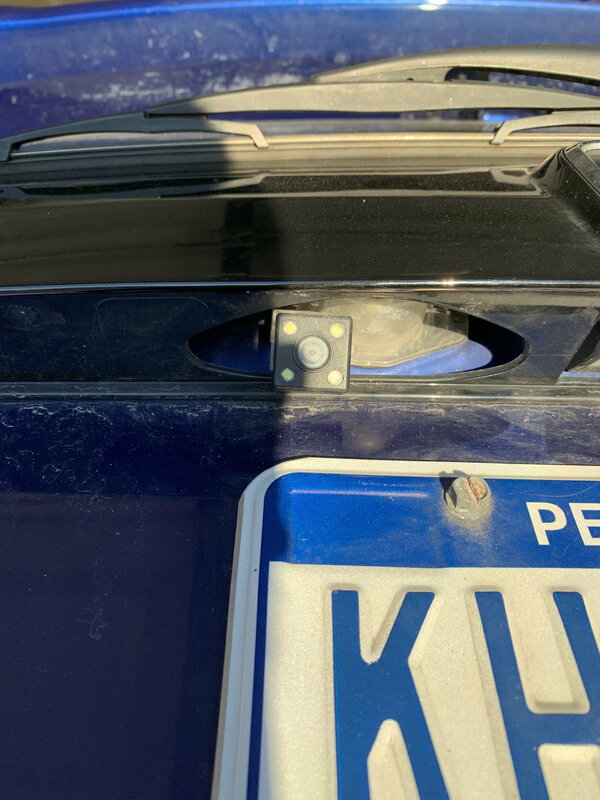 The camera is installed using one of the license plate screws. It's definitely not necessary, but because I had the double din headunit and I could, I tried it out. Also, I was having trouble backing up at night down a long straight paved driveway. I upgraded the reverse lights to LED's (which helped a bit) and then added the backup camera. The night vision is ok, and it does help me navigate that driveway. I also like that you know how close you can get when parallel parking or backing up to something. That part is nice. As a side note, we have two 2012 Base Fits and my stepson (age 26) said "do not add a backup camera to his Fit". He is old school (at 26), and finds the backup camera distracting. I like it and find it works well. The camera quality is surprisngly decent. Not high def, but clear enough. https://amzn.to/2QRE4XH This one works really well for me. how doea this function with the LEDs? i assumed they only turned on when in reverse and left one side of the license plate dim the rest of the time? i have one like this. Its okay, the camera quality isn’t great. Sorry to bring up an old thread but do any of you have pics of what your reverse camera looks like installed? 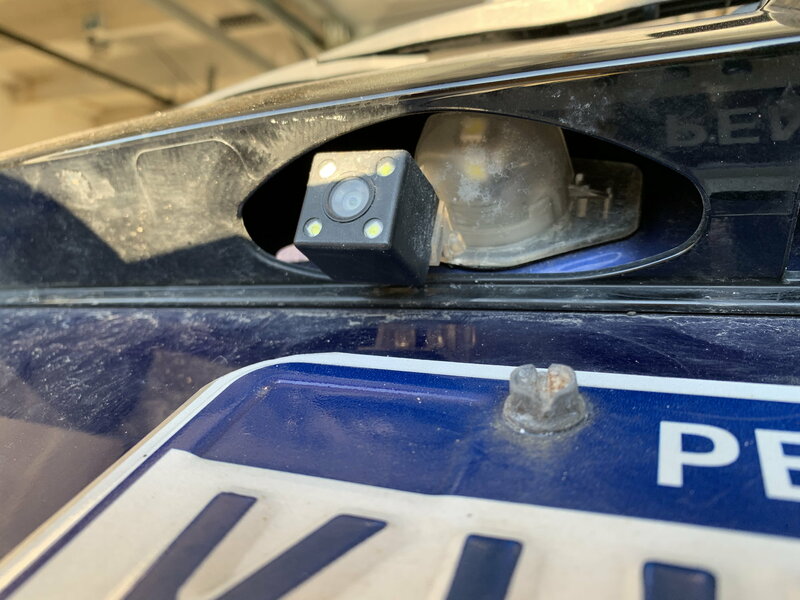 Specifically the ones that have the integrated camera to the clear reverse light housing. How low does it protrude and does it have a decent angle? I cant find any pics online of this style actually installed. Thanks. china and is really terrible quality. I’ve thought about buying a new high quality one and trying to figure out how to install it. Nice! Thanks for the pics Bucho. There’s a camera on Amazon by company called Navinio that I’m thinking of buying. Does your setup change the light pattern of the parking lights when on at night? What I mean is do the two rear lights still look uniform? Re-revivng a thread that was just revived. Sorry guys! anyone have any guides on routing the cables? Also as usual, I intend to tap into the reverse light power. any recommendations? I routed mine underneath the door sills, from the rear of the car to the front. There is just barely enough cable (in my case) to do so. I may try running it through the headliner from rear to front this weekend to see if it does not clean up the bits of exposed cable. As for connecting to the rear light wires, I used some wiring T-taps to simplify the process (instead of stripping, soldering, and heat shrink). Some may balk at the usage of these, but it is up to you. I have had no problems with them so far. Any reccomendations on what exactly to get? wire gague? Thanks! I did not have to use any extra wiring. A wiring harness is included that you need to connect to your existing backup lights, whether it be by cutting/soldering or some wire-nuts or taps. Buy Nikon D90 12MP DSLR camera/ Nikon D80 Digital Camera with 18-135mm Lens.